(Reuters) - Brown-Forman Corp (BFb.N), (BFa.N) said on Tuesday it will raise prices on its whiskeys, including Jack Daniel's, in some European countries to combat tariffs slapped on U.S. bourbon. 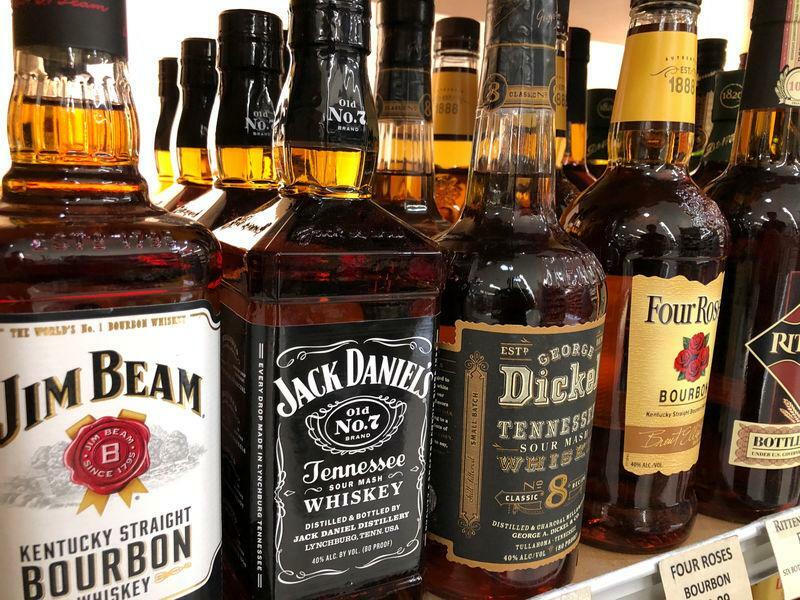 Buyers of Jack Daniel's or Woodford Reserve whiskey can expect to see the price of a standard 700 ml bottle go up by about 10 percent, Brown-Forman spokesman Phil Lynch said. Brown Forman is the latest U.S. company trying to cushion the impact of the EU's 25 percent tariffs on American goods, including bourbon, motorcycles and jeans, in response to U.S. tariffs on steel and aluminium. Motorcycle maker Harley-Davidson Inc (HOG.N) said on Monday it would need to shift some U.S. production to Europe to combat the EU's tariffs. Consumers are likely to see higher retail prices over the next several months rather than immediately, Lynch said, as the company works through the stock it has built up over the last few months in preparation for the tariffs in markets such as Germany and France, where it controls distribution. Louisville-based Brown-Forman controls its own distribution in about two-thirds of its overseas business. In the markets where the company relies on third party distributors, such as Belgium and Italy, price decisions will be made by them, Brown-Forman said.